The effect of ridge tillage on weeds is distinctive from other types of tillage in that seeds do not move randomly relative to the crop row. In ridge tillage (sometimes referred to as till-plant) a crop is planted on ridges formed the previous growing season (Figure 4.8). During planting, the surface of the ridge is scraped into the inter-row valleys. Seeds that were shed onto the ridge the previous season are thus moved to the valleys where seedlings can be destroyed by inter-row cultivation. Finally, ridges are rebuilt for the next season by hilling up around the crop stems during the final cultivation. ridge to the furrow is critical in limiting seed bank and weed density (Jordan, 1993). Accordingly, Buhler (1998) observed that deep scraping of the ridges at planting reduced seedling densities of several species relative to shallow scraping. In Forcella & Lindstrom's (1988a, 1988b) study, overall weed seed density was similar in ridge and conventionally tilled treatments that were rotated between maize and soybean, but in continuous maize, seed densities were higher with ridge till. The difference may have been due to greater soil cracking in continuous maize, allowing seeds to fall below the depth to which the ridge was scraped at planting. The higher seed density resulted in greater seedling density in ridge till in one of two years. These results show how interactions among agronomic practices can affect weed management. Comparison of ridge tillage plus rotary hoeing with conventional tillage plus herbicides in 51 on-farm trials in Iowa showed no yield difference, only slightly higher average weed densities, and substantial cost savings with ridge tillage (Exner, Thompson & Thompson, 1996). 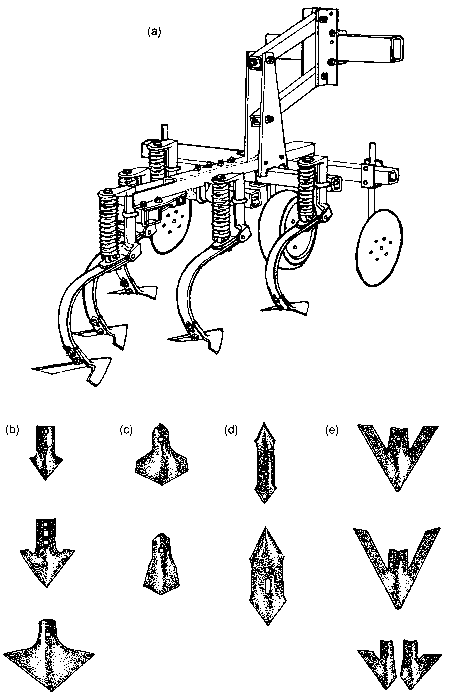 The long experience of many farmers with this tillage/weed management system has resulted in several recommendations (Thompson & Thompson, 1984; Cramer et al., 1991, pp. 25-9). • Approximately 5 cm of soil should be scraped from the ridge at planting. This is sufficient to remove residue and most weed seeds shed the previous season while retaining the ridge bases intact. Maintenance of the ridge bases facilitates cultivator guidance and fosters development of organic matter and macropores in the crop row. • The ridge should be wide (~30 cm) and relatively flat topped so that the planter cleans soil from a substantial strip on either side of the row. Otherwise, weeds will emerge from surface seeds near the row where they will be difficult to control. 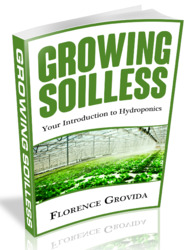 • A winter cover crop on the ridges slows emergence and growth of weeds in the spring. Since small weeds are more susceptible to the scraping action of the planter, a cover crop helps insure that the planter will destroy any weeds that establish prior to planting. • Ridge-building should occur early enough in the crop growth cycle and tools kept far enough from the row to avoid root pruning the crop. Root pruning is always an issue in inter-row cultivation, but it is more likely in ridge tillage systems because the tools works deeper relative to the base of crop plants. 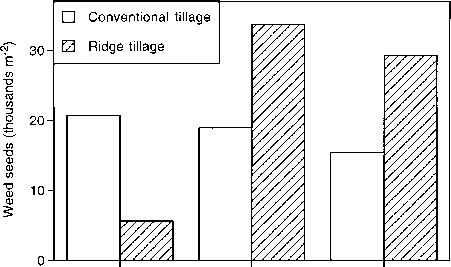 As with all reduced tillage methods, populations of perennial weeds sometimes increase with ridge tillage (Clements et al., 1996). Another significant problem is that the method is suited only to crops planted in widely spaced rows. 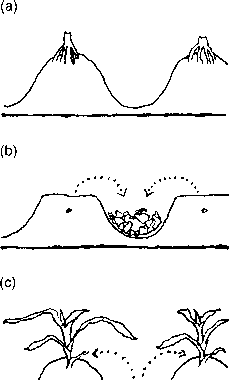 In particular, rotation with sod crops requires destruction of the ridges (Cox et al., 1992). Despite these problems, ridge tillage is an important soil conservation and weed management system, particularly in regions where maize, sorghum, and soybean are the predominant crops.